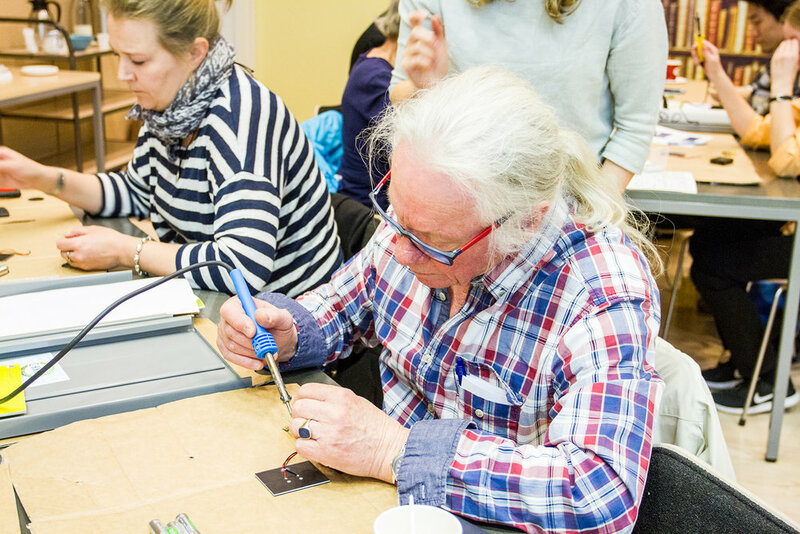 Our first solar DIY workshop in Lohja, Finland. 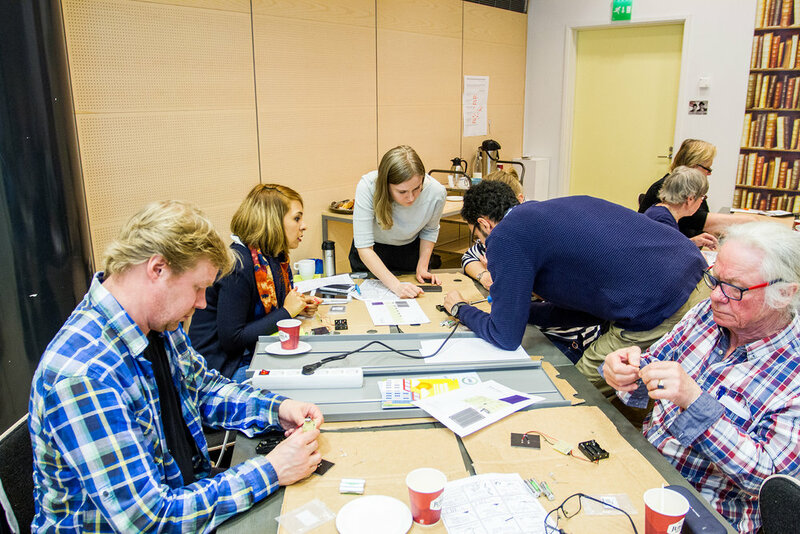 On 6th of May, we invited around 20 people and had the Solar DIY workshop in the Main Library of Lohja. 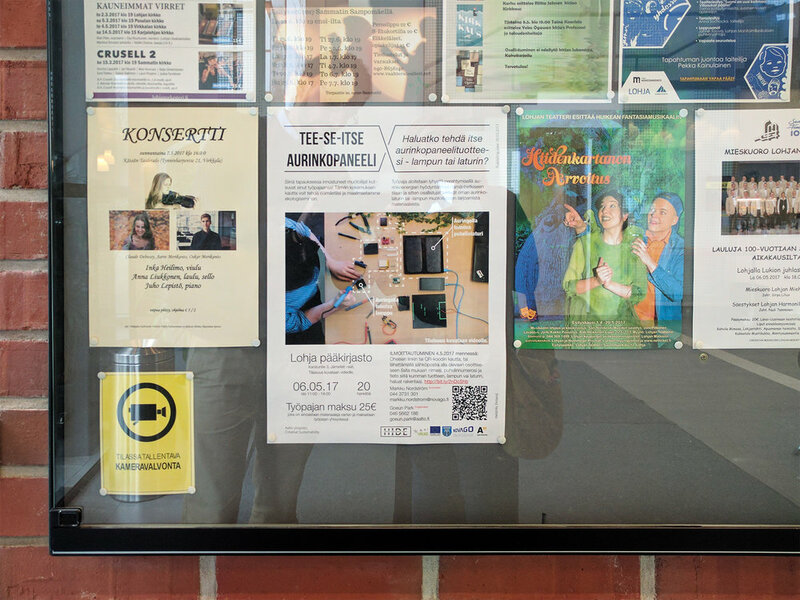 We are very happy to share our initial steps with Lohja residents toward the Solar Movement here in our blog! 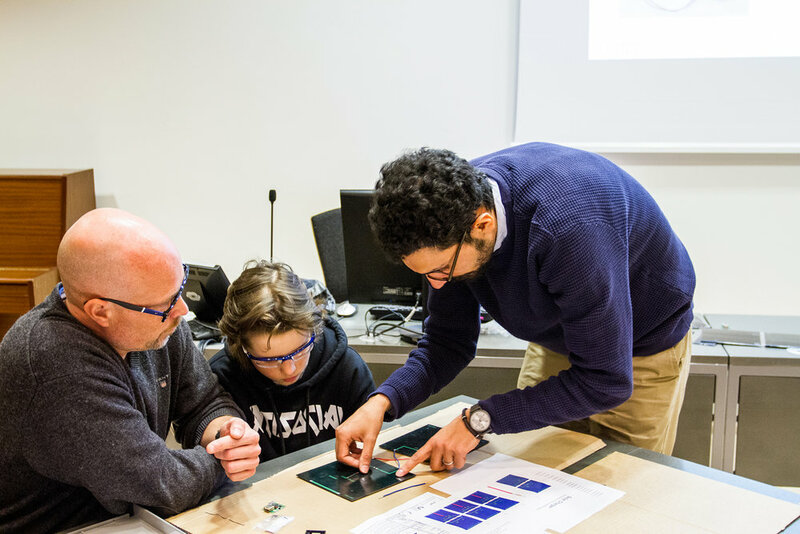 The idea of the workshop was derived from a simple question "who has the right to solar energy"; Although there has been a lot of trials for sustainability in Finland, we wondered why it is hard to see actual changes in energy source of individual households. From the previous projects, we found that one of the reasons is a big gap between the solar energy industry and people. Most of the attempts at changing public opinion have been made at governmental and industrial levels and all the attempts seems to be excluding the human being from the design cycle and focusing on technicality and functionality more than anything else; all and all that process is leaving the feeling and mindset that solar energy is something far away and can not be linked to our daily lives. Having that in mind, we, HIDE are trying to bridge the gap between solar energy and individuals by providing people with direct experiences of solar panels. *Solar PET is a place where participants share their already made products. To our surprise, the workshop was very diverse, our participants were from a wide range of age, background and gender. All enjoyed in their own way, unlike our expectation that there would be more male adult participants. Participants helping each other to make their products. Our youngest participant making Solar Charger with his dad's help. Our youngest participant was around 5-6 years old, he came with his father and made the charger; also a daughter and mother sat at the same table and made the lights while helping each other. We encouraged them to be more creative with solar products: designing the cover for charger; thinking about how to put the solar light with jars: upgrading the solar system by adding more panels. 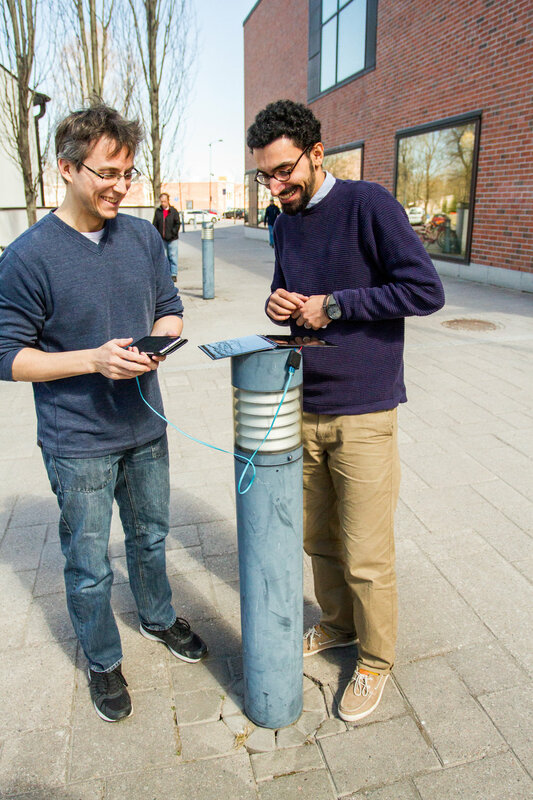 Solar products can be transformed into anything; light for a planter or charger for your battery and torch.